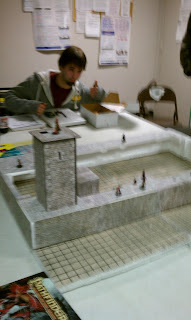 Well I got to play in my buddy Clint's Pathfinder game today! Thought we were being clever by sneaking in through the sewer/well system.. a Black Pudding taught us otherwise! 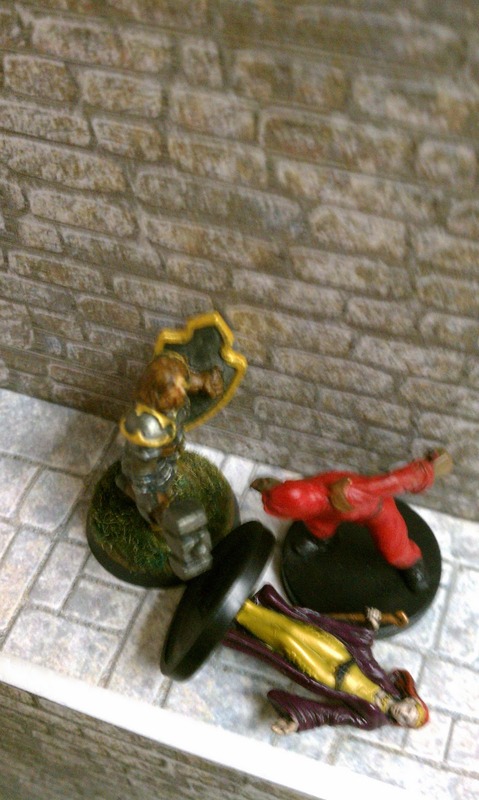 Hofud HellHammer slays the evil priestess, but the Hobgoblin Monk is ready for him! 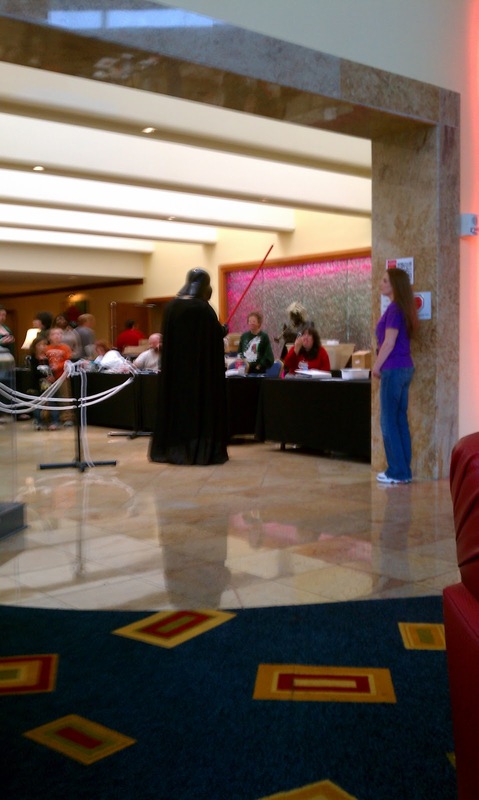 Now things get really interesting!! Here is some of the stuff I picked up at the Con today! 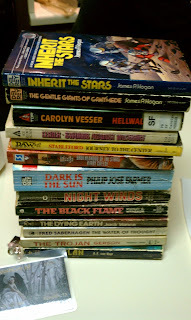 Got this stack of Sci Fi books for just a few bucks!!! 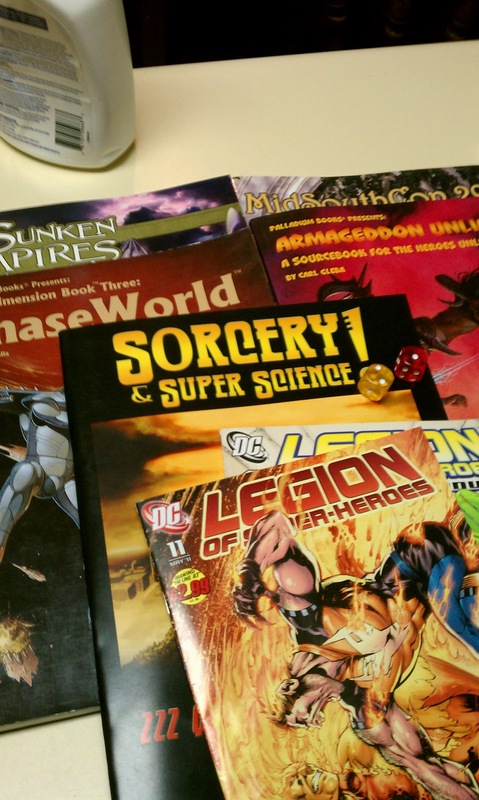 Gaming books and some comics! 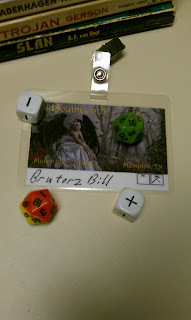 My wife and I spent the day at Mid South Con, it's great to be married to a gamer wife! 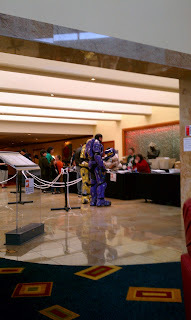 Here are some photos I took at the Con! 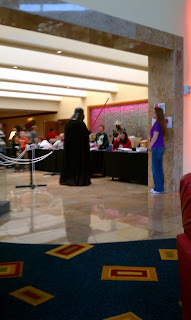 Uh-Oh...Looks like Vader forgot to Pre Register!!! Uh-Oh what's that just outside? Why it's the Green Army Men!! We had a great time! I didn't get to get in on any gaming, but it was still a great day! Simian Saturday: New Planet of the Apes Comic! I'm hopeful about this comic series, looks interesting, should definately provide some gaming fodder for my P.A. 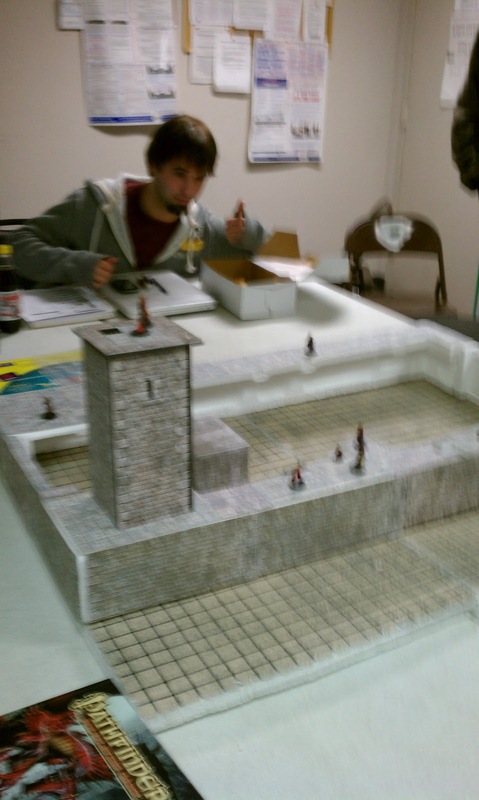 Campaigns! On a recent bookstore trip, I spotted a Gamma World novel on the shelf: Sooner Dead. I picked it up, knowing I had some airplane reading time coming up soon. 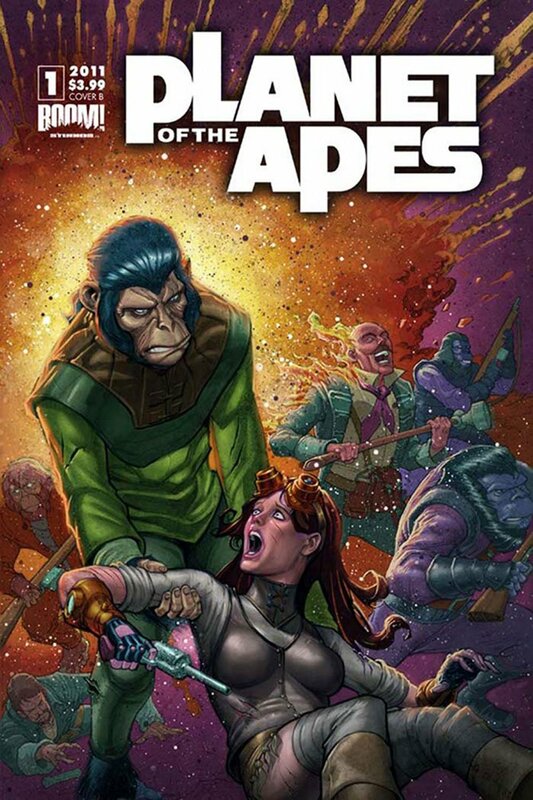 Let me clarify my stance on Gamma World and the latest edition before I proceed with my brief review. 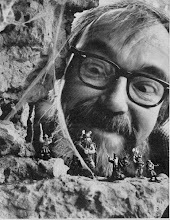 I've been a big fan of the Gamma World RPG since I picked up the first edition of it back in 1979. 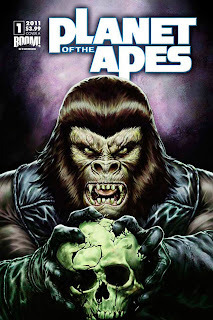 However, the latest edition of Gamma World just doesn't interest me. 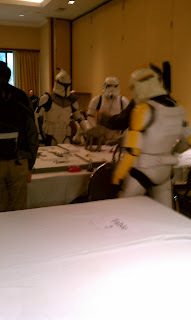 It doesn't seem like "my" version/vision of Gamma World. 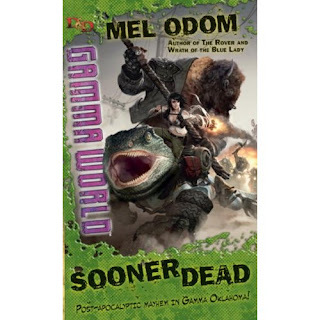 Even on the back of this book it says this "isn't your father's Gamma World! "...Indeed its not! 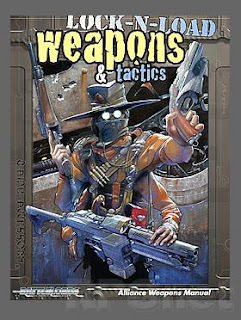 Up until recently I've been running a Mutant Future Campaign, so I was hoping this might give me some campaign fodder for my games. I like a good story, so I was curious about this book and so I bought it. 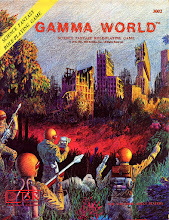 Anyways did it make me want to run out and play the new Gamma World? No. 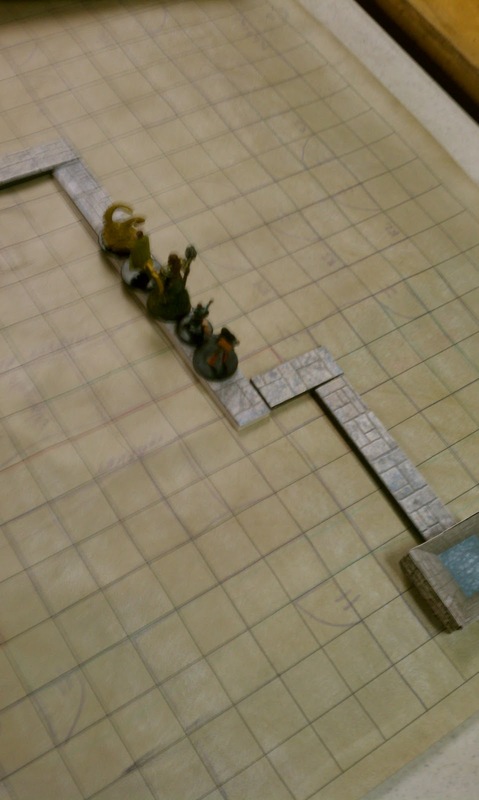 In fact it seemed more like a Rifts story (minus the mega-damage) to me. 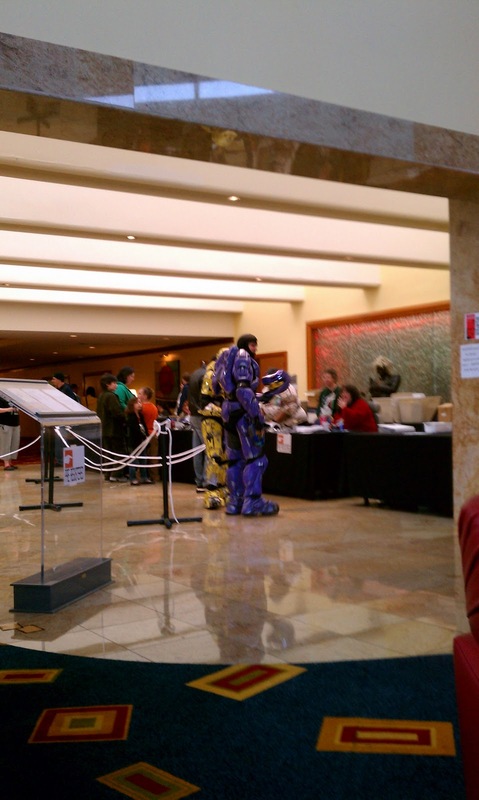 It actually made me wish I hadn't sold off some of my Rifts collection. 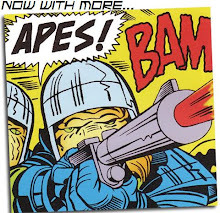 Heck the Bisonoid character "Stampede" could be fairly easily created with the Palladium After The Bomb rules and a few powers from Heroes Unlimited. 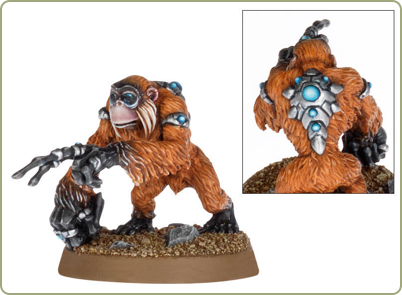 I remember reading about the Jokaero in my original Rogue Trader 40K hardback waay back in the day, thought they were cool, and wished there was more info about them. 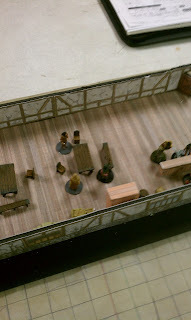 Well apparently now, many many years later, they will finally be represented in miniature. Check it out! Looks like the mini will be available in April. I haven't bought any GW stuff in ages, but I may just have to pick this puppy err.. I mean ape up! Special thanks to Tetsubo for directing me to this information!! It was less than $5 so I had to pick it up. My grandfather was a WWII veteran, so I've always had a distinct interest in that era. The book is full of some really cool military slang from that period. F***ed (or Fouled) Up Beyond All Recognition – a typical situation appraisal by wartime soldiers. 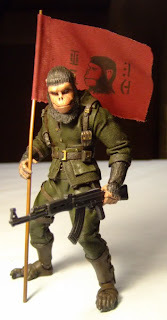 The soldier slang of World War II was as colourful as it was evocative. It could be insulting, pessimistic, witty and even defeatist. 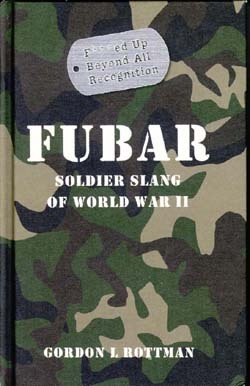 FUBAR: F***ed Up Beyond All Recognition is a compact dictionary which takes a frank look at the Commonwealth, American and German slang used by the men on the ground and shows how, even in the heat of action, they somehow managed to retain their sense of humour, black though it might have been. This is a great book to have both from a historical perspective and for those gamers playing campaigns in this era. I'm quite happy to have it on my bookshelf. Recently Tenkar did a mini-review of the Battlelords of the 23rd Century RPG. 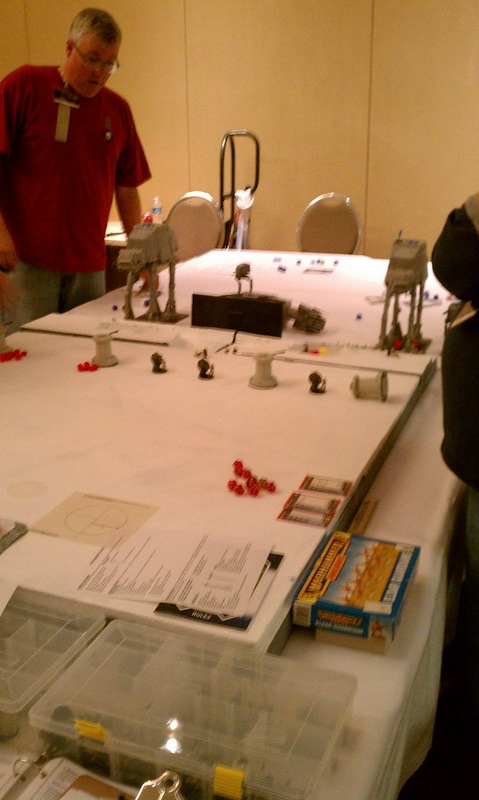 I got to play it once many years ago in a one shot, but didn't actually ever own a copy of the rules. Being in a Sci Fi mood of late, I decided to track down a copy. I found the core rules for a great price as well as one of the supplements for it. I haven't had time to really dive into the books yet, but they look cool, for me it has a very 90's feel to it, Big Guns! 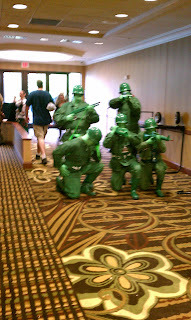 Big Aliens, oh and did I mention Big Guns?! 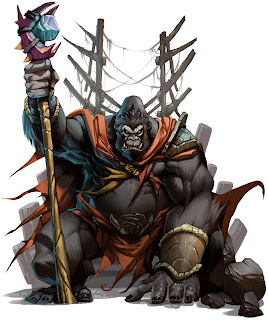 Simian Saturday : The Gorilla King wants you to game! 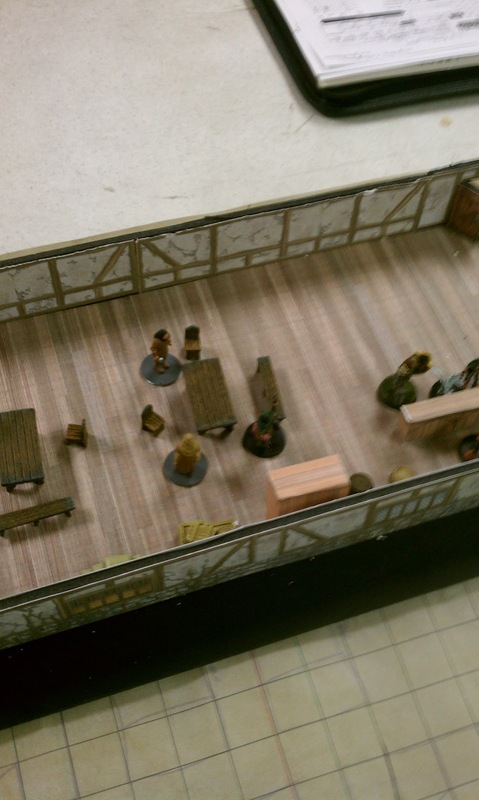 Here is some art from the Pathfinder RPG, I hope I don't lose my OSR Street Cred by talking about Pathfinder. : ) Due to my work schedule, I've had to put running my Mutant Future game on hiatus (still got to get those session logs posted), a friend of mine is running Pathfinder, actually a campaign I helped start over a year and a half ago, so in order to get my gaming fix in (and get to hang out with the guys), I'm going to try to get in on some of that action. 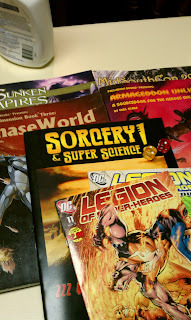 I've actually picked up several of the Pathfinder books recently, the new job has kept me from gaming but it has allowed me some extra spending money. There are some great products out for Pathfinder, the GM Guide in particular, is sweet for whatever system you are running. 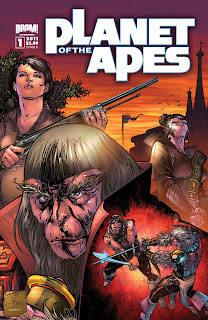 I preordered the Warlords of the Apocalypse, hope that one is good, I can't resist a P.A. RPG. 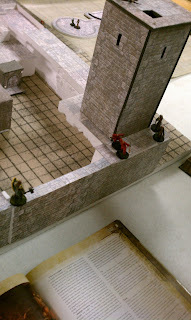 I'll admit I tired of DMing the massive stat blocks of 3.x, especially at high levels, but as a player this should be fine for me. Plus not gaming is just not fun! Besides who am I to argue with the Gorilla King! I recently discovered a really cool TPB from the Judge Dredd comics of the late 70's. With the storyline being so cool from a P.A. 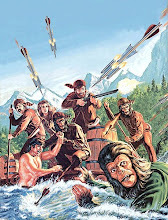 wild and wahoo perspective I tracked down the Mongoose Traveller RPG Supplement for it! 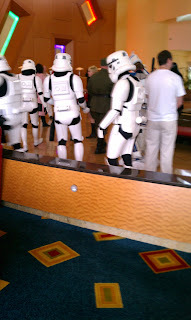 And was not disappointed. "If you thought the streets of Mega-City One were bad, wait until you take a walk outside the city! 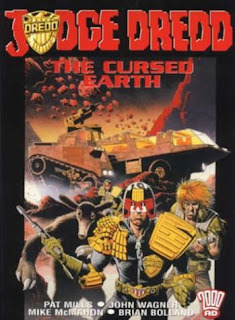 The Cursed Earth is a blasted, irradiated wasteland filled with mutants, desperadoes and renegades eking out an existence in the most hellish place on the planet. 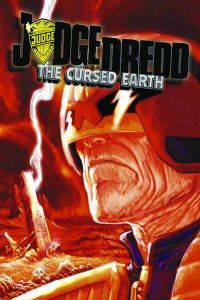 Stretching across the old continental United States, the Cursed Earth separates the three great Mega-Cities of America. 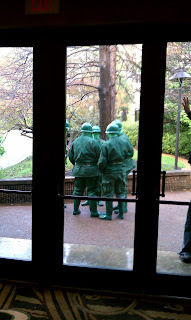 Judges often have cause to venture out into danger, to pursue renegade perps, stall mutant invasions or even just to introduce rookies to the Cursed Earth in order to fulfil their training requirements. 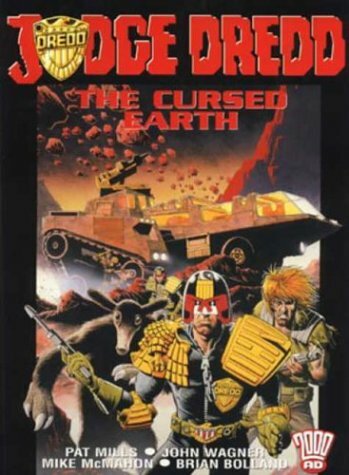 With this complete guide to the Cursed Earth, you can take your adventures into the hellish heartland of America." Here's a world map I found. 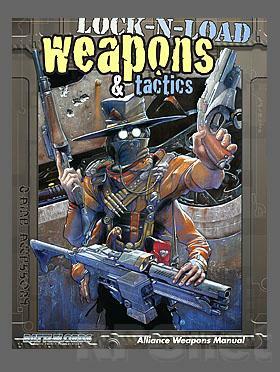 There is some great stuff in this setting that I am going to plug directly into my Mutant Future Campaign. 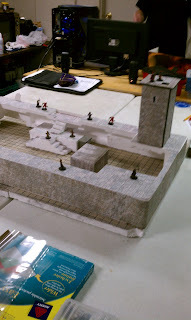 While I don't plan on running a Judge Dredd Campaign anytime soon, there is plenty of stuff that you can use without needing the Judge references. While browsing the 'net I stumbled upon these awesome custom action figures done by a gentleman known as Glorbes. 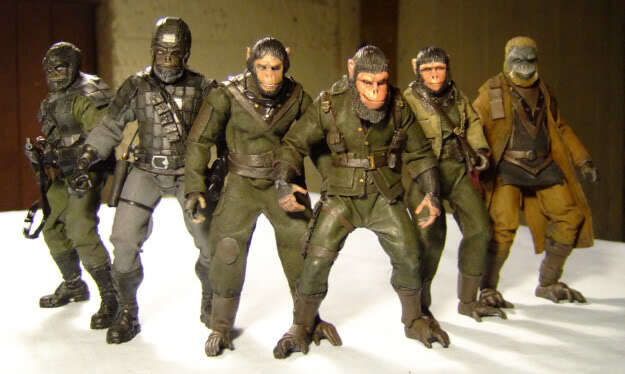 I loved my Mego PotA's figures back in the day but they didn't even approach these in the coolness factor! Enjoy! 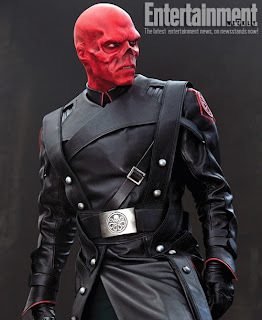 One of my favorite villains from the Marvel Universe. I had him stat'd up for Heroes Unlimited at one time, may have to try and dig up my notes on him. Wicked Cool!